It is this time of the year when a school year is about to finish with exam session and students are starting to make decisions about their future career. Does it apply to you? The even deeper considerations arise to those who are considering becoming pilots. 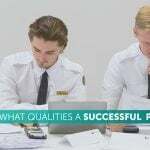 Is a commercial pilot licence enough or should Bachelor studies come first? Did you know that there is a way to acquire a Bachelor degree in aviation and a commercial pilot licence at the same time? It is not only possible, time saving but also beneficial for one as a professional. Most airlines do not require a Bachelor degree, however, this is definitely something that might open more doors in a pilot’s career in the airline business. The degree indicates a pilot’s ability to think critically and deal with complex situations at one time. Most Bachelor programs in aviation field are designed for students who are strong in the fields of mathematics, physics and science, moreover, also have a passion for the aeronautics industry. BAA Training is an aviation academy offering not only pilot training but also a joint degree programmes with universities. If a Bachelor degree in aviation field sounds just like what you are looking for, then see the programmes below and find the right one for you! A Bachelor study programme in Aviation Management can be combined with a Private Pilot Licence (PPL(A)) or a Commercial Pilot Licence (CPL(A)). You choose! This programme consists of two parts. The first part consists of studies done in Kazimieras Simonavicius University in Vilnius, Lithuania, where students gain knowledge in management, economics, finance, general aviation and aviation management fields. The second part, which is pilot training for your preferred type of licence, is conducted simultaneously at BAA Training. The duration of the studies is from 3,5 to 4 years depending on the type of licence the student is acquiring and their ability to pass CAA exams. Another dual degree programme is a combination of a bachelor’s degree in Aviation Transport Engineering and a frozen Air Transport Pilot Licence (ATPL(A) frozen). Engineering science part is conducted in Riga Transport and Telecommunication Institute (TSI) followed by a pilot training at BAA Training. The Bachelor’s part covers economics, electronics, aircraft’s engineering, management, math and physics. 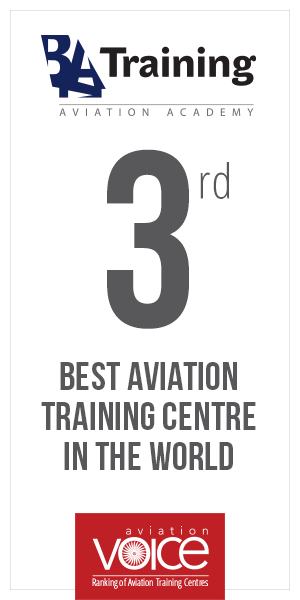 The programme is tailored for pilots who wish to know aircraft at its best. The acquired pilot licence allows to apply for a First Officer’s vacancy at an airline straight after the studies (4 years in total). A Bachelor of Aircraft Maintenance and a frozen Air Transport Pilot Licence (ATPL(A) frozen), complying with EASA standards, is a joint degree programme together in partnership with National Aerospace University Kharkiv Aviation Institute (KhAI) in Kharkiv, Ukraine, for those aspiring to become well trained aviation professionals. The theoretical part of the programme is focused on general arrangement and structure of aircraft and helicopters, the principles and rules of engineering and designing. The ATPL integrated program is conducted at BAA Training, Vilnius, Lithuania. EASA ATPL frozen licence is acquired after the successful finish of the program (4 years in total). The opportunities are endless, the only thing you need to do now is to decide which path you are going to pursue! Aviation should not be only a dream floating far away. Efforts should be made – only by working hard one can succeed in one‘s career. Especially when we talk about aviation! Did You Know What Qualities a Successful Pilot Needs? 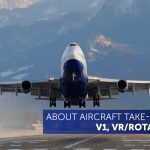 Did You Know about Aircraft Take-off Speeds: V1, Vr and V2?